We would like to share Angela's Story. We hope it inspires you to spread the word about regular hearing testing along with how worthwhile our Project is. 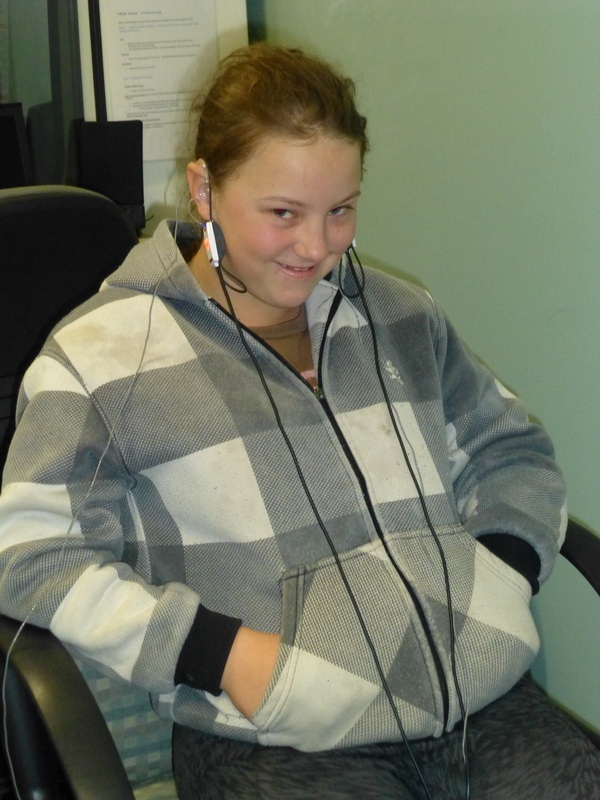 Angela is a happy 12 year old girl in a special needs support class at Wellington Public School. The schools very passionate Learning and Support Teacher, and one of Wellingtons' Hear our Heart Coordinators, Leeanne Everrett, knew there had to be another reason behind Angela's learning and severe speech problems so she organised her to have a hearing test when we visited the school 14/15th August. Hear our Heart Ear Bus Project's Audiometrist, Gordon Rutter, showed us with the video otoscope how Angela's eardrums were sucked back so severely around her bones that they were almost protruding through the eardrum. He said "well there's your answer to her speech and learning problems ladies." She was in no pain, but kept trying to pop her eardrums by clicking her jaw. Gordon suggested it had to have been like this for years and her hearing would definitely not be normal. Angela's Parents Mick and Corrie were equally as shocked as we were. 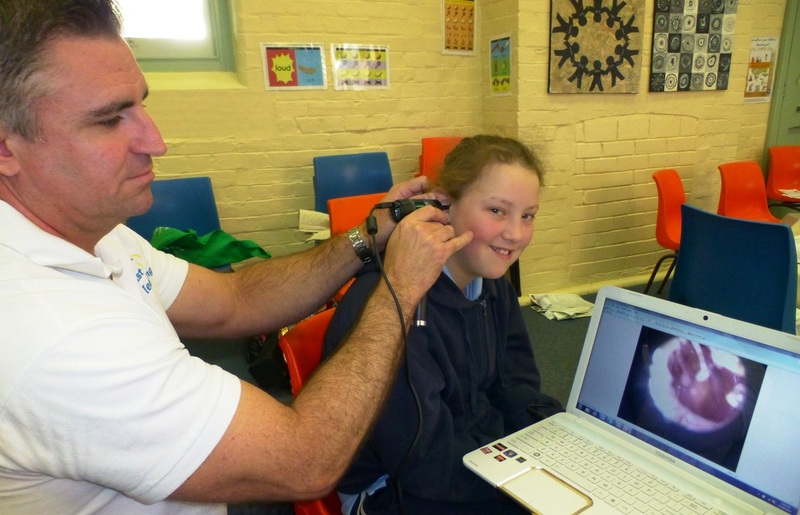 They looked for her last hearing test which was in 2009 when Aboriginal Medical Service, visited to test Pre School Children. This was when she was 4. 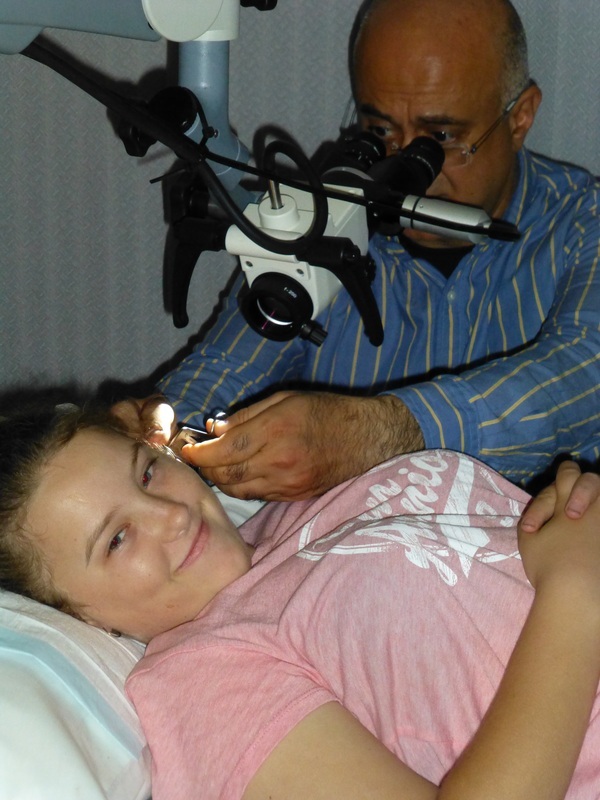 Angela had a few glue ear issues around then but this was being monitored and improved. Fast forward 6 years and she had struggled through school so much she needed to be in a Support Class. Never in this time did anyone question could it be her hearing? Why? There was never any ear pus or sore ears. Glue ear is such a silent and non painful disease. 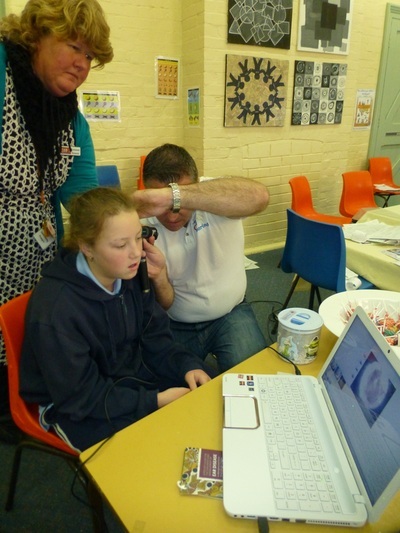 Mick and Corrie are so thankful for the Hear our Heart Ear Bus Project. Mick and Corrie want to share Angela's story to help others as they too are in shock of how easy hearing loss can be missed. They both asked us why isn't it done in schools for all kids anymore? 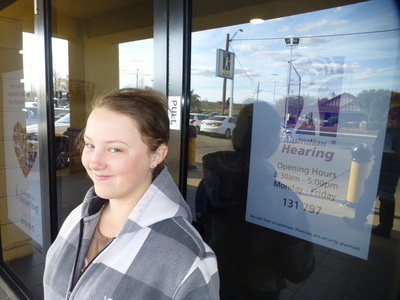 They now question how many other kids are having learning, speech and behaviour problems that don't have their hearing tested a minimum of 3 TIMES A YEAR? 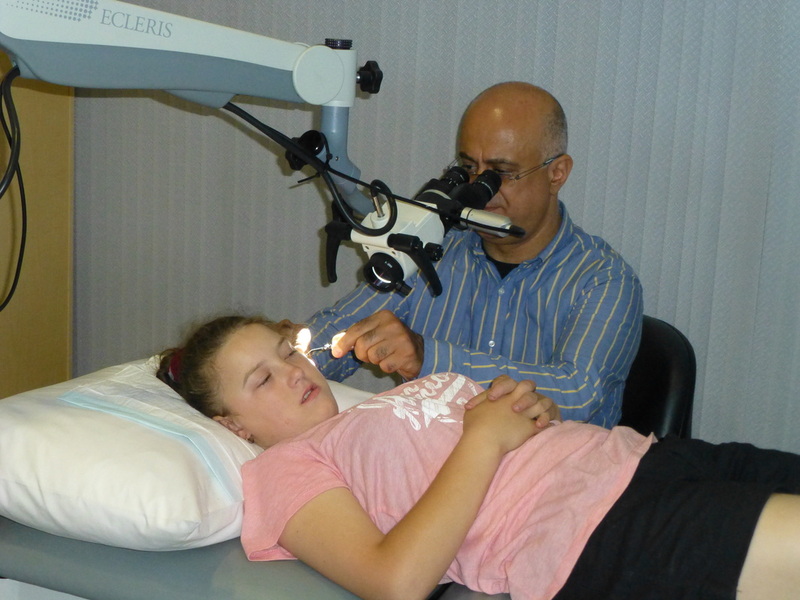 1.See Dr Ridha the Ear Specialist about her ear health. 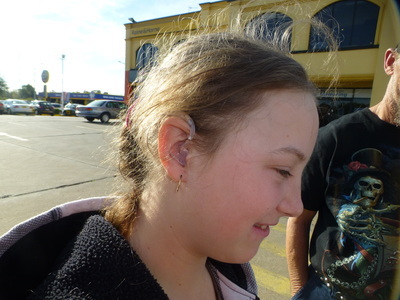 She also had another hearing test while she was there. Next step was to attend Australian Hearing the following week for hearing aid candidacy. Angela had thorough testing with Audiologist Abin James. Her hearing was low enough to get hearing aids so Mick and Angela chose to proceed. She had a mould fitting and the hearing aids were ordered. 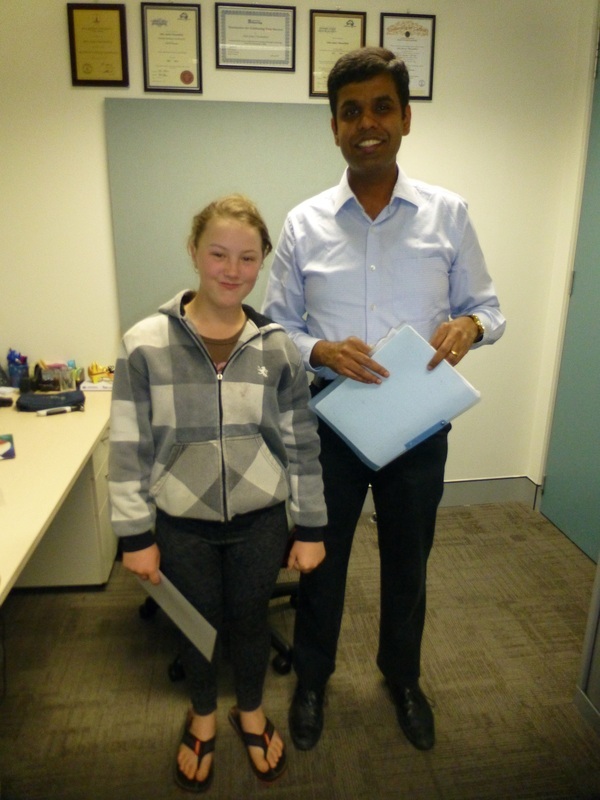 The following week we returned to Australian Hearing and Abin fitted her with her new hearing aids. The look on her face when they were switched on for the first time was priceless. She didn't realise that shoes make a sound when you walk on carpet!!! Angela's grommet surgery was a success in late October 2014. 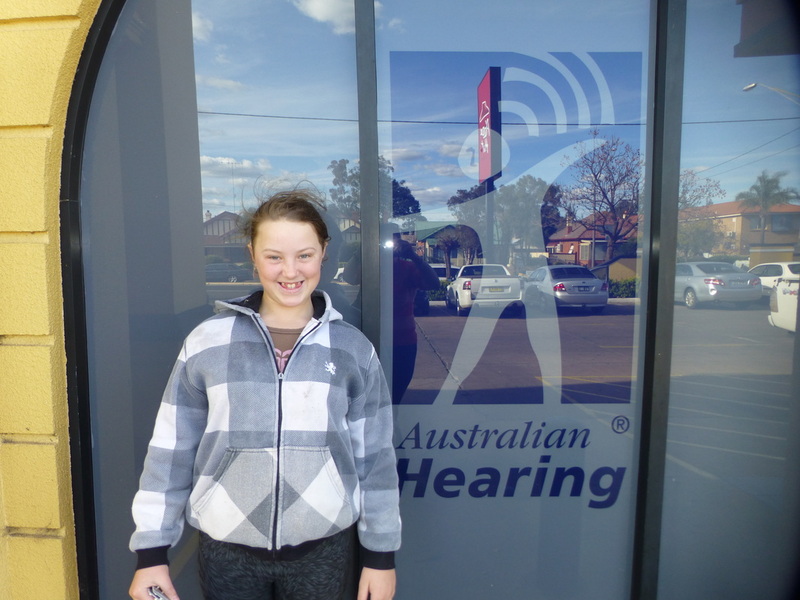 So, the next step was to go back to Australian Hearing to see if her hearing had improved and adjust her hearing aids accordingly. Thankfully it had improved. However, even though Angela and her family were vigilant in keeping her ears dry in water by using earplugs her grommets became blocked with middle ear fluid in a month. So it was back to Dr Ridha again. He decided to book her for more grommets early 2015 as her eardrums had become retracted again. 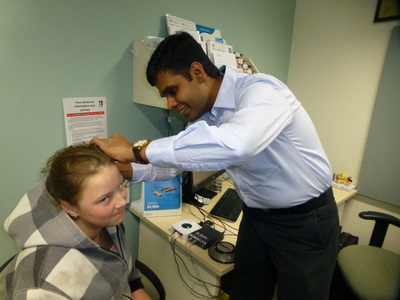 While she was waiting for surgery Dr Ridha decided to change her hearing aids from air conduction hearing aids to bone conduction hearing aids. This way even though her grommets are blocked she could still hear and learn. 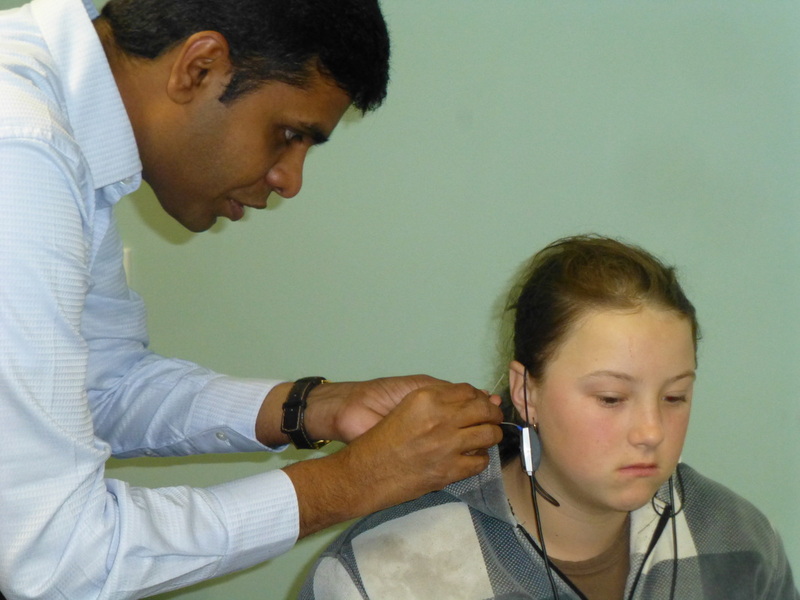 Because a child’s inner ear is generally unaffected if their hearing loss is caused by middle ear infections, this type of hearing aid works by sending sound directly to the inner ear by vibrating bones in the skull. 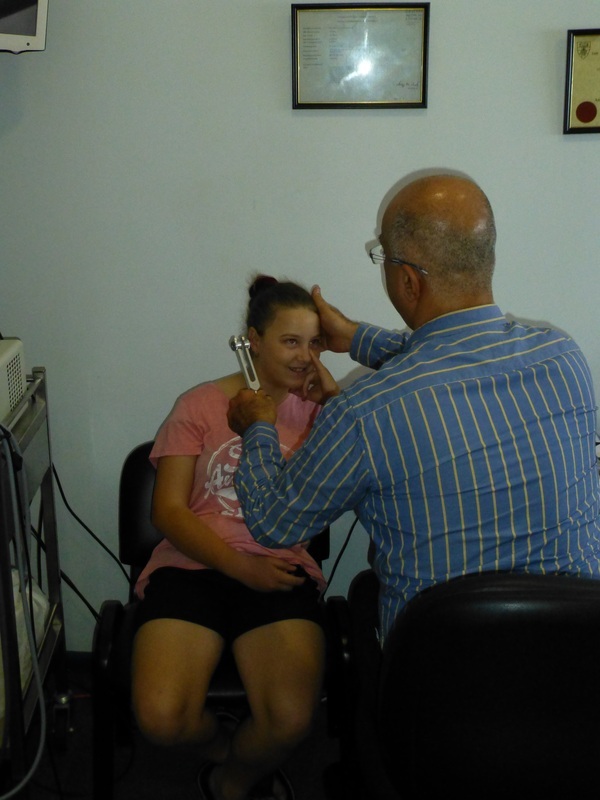 as it highlights that struggling children being considered for a special needs class should have their ears and eyes tested first as having vision or hearing problem affects their results. Angela's school has learnt from this and are now so passionate about spreading this message to help other schools. Learning and Support teacher Leeanne Everrett featured Angela's story in a recent Dubbo and District Learning and Support Teacher Network Day.